Designed in partnership with some of the most successful airlines in the world, airRM is a revenue management solution. Going beyond its core forecasting and optimization capabilities, the system has grown to include more data sources and contain more tools in order to make airlines more productive in their day-to-day management of inventory. 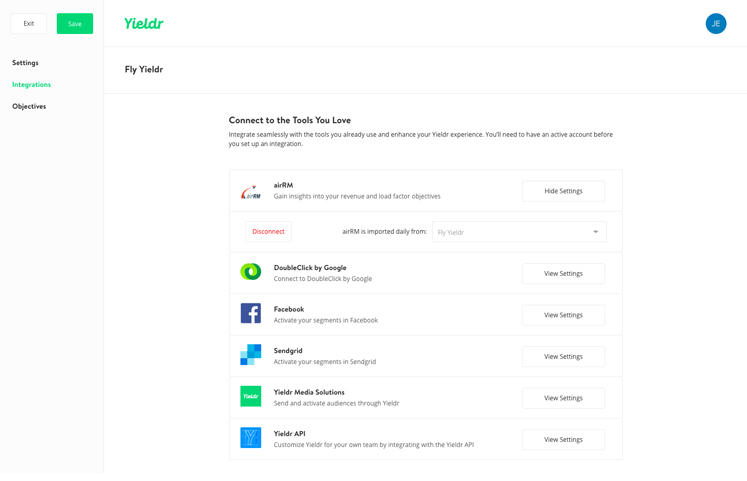 In order to set up the airRM connection, head over to Project Settings and click on Integrations on the lefthand side. This will bring you to the part of the app where you can set up your integrations. At the top of the list is the connection with airRM. 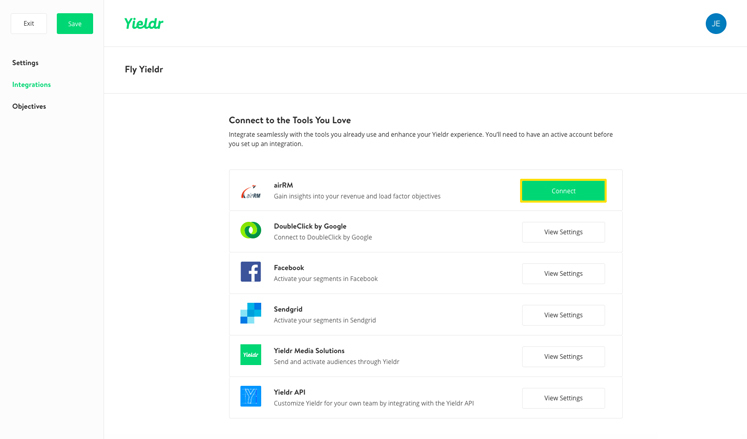 By clicking Connect you send an automated message to the Yieldr Support Team. After the connection is approved by both airRM and Yieldr the "Pending" in the button will be replaced by View Settings. This means you can start putting in your monthly objectives for all routes received from airRM and you can start checking the performance of routes and flights in the Yieldr Platform. When you want to remove your airRM connection, first click View Settings. This will open the settings part where you have the ability to click Disconnect.